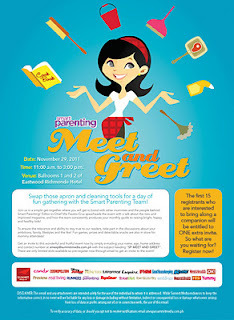 Last November 29, the editorial staff of Smart Parenting magazine, welcomed a bloggers and some of its selected readers to the Smart Parenting Meet and Greet event at the Ballrooms 1 and 2 of Eastwood Richmonde Hotel. The afternoon opened with a talk by relationship coach Aileen Santos, who emphasized on the value of words and labels that parents put upon their children. These words are so powerful that is directly affects the self-worth and motivation of kids even at a young age. Using hurtful, negative words when we speak to our children tends to stick out in their minds so they end up living up to what we often label them. Ms. Santos' example on the amazing experiment conducted by Japanese scientist Masaru Emoto was a very informative one. The experiment on the effects of positively-charged and negatively-charged words on the crystalline formations made on both clean and dirty water clearly illustrated on what words can do to human beings. 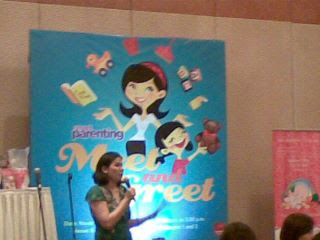 Her talk on "How to Raise Successful and Happier Kids with the Power of your WORDS" was an eye-opener for me. She also shared a study done by Marau Emoto and his water crystals experiment. The results are really awesome. The highlight of the program is wherein mommies were grouped together with some SP staff for a 45-minute Focus Group Discussion, the aim of which is to solicit insights on what we would like to see more on the magazine and the website. I think the given time was so short because our group's discussion was so enlightening. All the mommies seated at our table gave a lot of suggestions and wonderful comments. The SP team was composed of editor-in-chief Mia Fausto-Cruz, Managing Editor Nikki Constantino, Art Director Jenny Inumerable, Senior Staff Writer Rachel Perez, Editorial assistant Maika Bernardo, Associate publisher Melody Lalata, Publishing Assistant Teeffany Go, Managing Editor Lei Sison and Staff Writer Stephanie Esguerra,divided themselves among different tables and facilitated discussions on what moms like myself love about Smart Parenting. They solicited comments and suggestions on what we'd love to see in the upcoming issues and on how to further improve the magazine. This simple get-together of mommies and the Smart Parenting Team ended with a raffle draw in which most of the attendees snag giveaways from Smart Parenting and its valued sponsors. I was happy to be given the chance to know the powerful women behind this parenting magazine. Thanks to Smart Parenting for a wonderful, enlightening afternoon meet up.